Mickey’s Very Merry Christmas Party is a magical time with your favorite characters, a special parade, fireworks, shows and treats. 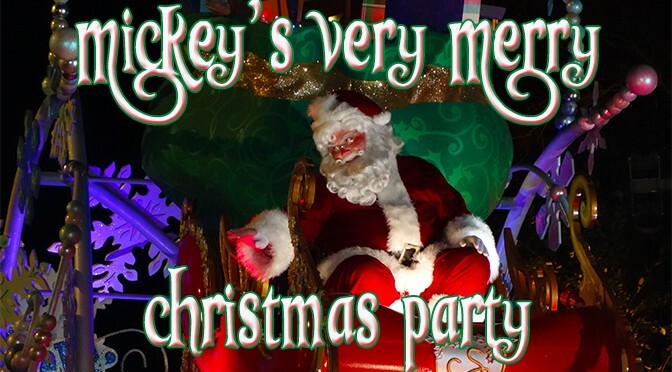 The tickets for Mickey’s Very Merry Christmas Party tickets 2019 are now on sale! The price of tickets to Mickey’s Very Merry Christmas Party range from $99.00 to $139 before taxes. Here’s the actual cost for each party. The first price you see are Adult/Child. There is a $5.00 per person discount for for Annual Passholders and DVC members as well for all parties, except the final two December dates. If you are a Mouse Class Travel client, please contact Lisa to have her reserve your tickets for you! Are you excited to see the 2019 Mickey’s Very Merry Christmas Party? We are staying at WDWR from Nov 15th-30th. Which date would you recommend as the best for us? Have a character obsessed 7 year old. Some sites saying Tuesdays are the quietest in the past, but Kenny has said in another article, Sunday is the best night to visit. This is a lot of dates for the Magic Kingdom to close early. It almost forces people to attend a MVMCP. Like everything else…people are willing to pay for all these extras so they will keep increasing unless people stop buying the tickets. We are really struggling to save the money for our May trip. Food alone for our family of 5 is 2500.00 for 8 days. Wow! I thought the prices were outrageous, too. I don’t have any children at home but if I did we still wouldn’t be attending at those prices. Who can afford that? Does the first week of December typically sell out early?